Linfield or Celtic have been drawn against Dundalk or Rosenborg in the third qualifying round of the Champions League. 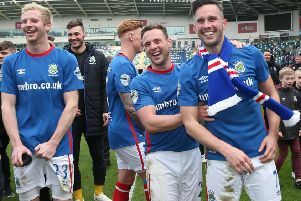 Brendan Rodgers’ Hoops take on Belfast side Linfield in the first leg of their second-round clash at Windsor Park on Friday night. The winners of that tie will face whoever comes through the two-legged meeting between Irish side Dundalk or Norwegian outfit Rosenborg. That tie is currently poised at 1-1 with the second leg to be played in Trondheim on Wednesday. Celtic beat Astana of Kazakhstan 3-2 on aggregate at the third-round stage last season. They qualified for the group stage after squeezing past Hapoel Be’er Sheva of Israel 5-4 on aggregate in the play-off round. But Celtic went on to finish bottom, without winning a game, in Group C which also included Barcelona, Manchester City and Borussia Monchengladbach. The stand-out tie of the round is French side Nice, with former Liverpool striker Mario Balotelli in their ranks, taking on four-time winners Ajax of Holland. The matches take place on July 25/26 and August 1/2.